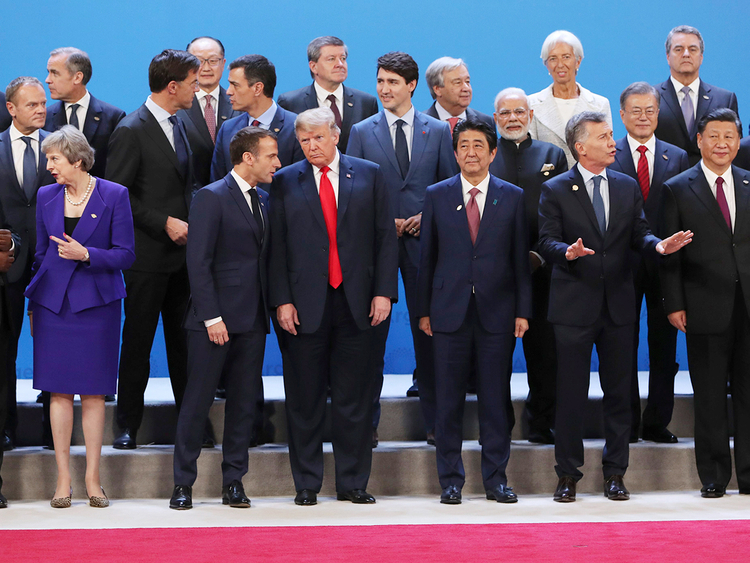 There are still some who pin hopes on G20 summits, which feature the world’s largest economies, to solve many complex economic issues that pose challenges to the future of a globalised economy. The belief is that the G20 will take some collective action to avoid acute crises. However, the great disparity between the positions and interests of the 20 countries remains an obstacle to reaching a collective understanding. The latest G20 summit, which was held in Buenos Aires, discussed two important issues, namely trade and trade protectionism and financial stability. Yet, no action was taken to address the difficulties facing global trade, which has experienced fierce wars with repercussions felt across all countries. In addition, the financial conditions are getting complicated by continued debt growth, and pose threats that may lead to a new financial crisis and laden with grave consequences. On the first issue, leaders of the two largest economies — the US and China — agreed to temporary stop their “cockfight”. They also agreed to a three-month trade truce in which no higher tariffs would be imposed on $267 billion worth of US imports from China and which had threatened to impose additional duties of $233 billion. This, in return, prompted China to impose duties of $100 billion on imports from the US. However, it is yet to be known how things will progress after the agreed truce. The positive is that the summit agreed to reform the World Trade Organisation (WTO) after it was about to collapse as Washington announced its intention to withdraw. This resolution has given some hope for the survival of the organisation, and a chance to maintain the achievements it had made over the last two decades. With regard to financial stability, no measures were taken despite the presence of IMF and World Bank chiefs. Things have remained the same in spite of some imminent risks to the global economy. Many countries are unable to pay not only their debts but also what they have incurred on interest and servicing of these debts. In addition, the debts of some large countries, such as Italy, are threatening an entire economic bloc — the European Union — necessary for the stability of the global economy. It seems that the side agreements signed between leaders of the G20 were more effective than the collective ones. US President Donald Trump successfully forced Canada and Mexico to sign a new trade agreement to replace the existing NAFTA after having it amended to suit US interests. Saudi Arabia and Russia also reached an agreement to stabilise oil prices at current rates, following a significant drop last month. This is an important achievement for the oil-producing countries and contributed to rising oil prices from this week to $62 per barrel compared to $59 last week. This agreement sets a strong basis for the decisions to be taken by the Opec at its meeting on Thursday (December 6), which will also hold a complementary meeting for producers from outside the organisation on Friday. This will maintain prices at between $60-70 per barrel, which is the fair price at which they are supposed to stabilise. Thus, the G20 summit partially contributed to overcoming some trade hurdles and stabilising oil prices, which is vital for the global economy. Meanwhile no result was achieved on the financial risks, and a worsening crisis will cast shadow on the global economy.